Hotel Rural el Mondalon is a small, luxury, child-friendly, former farm hotel sitting in 25 acres of land and situated next to a volcanic crater in the nature reserve Caldera de Bandama, Gran Canaria. The farm is ideal for children with animals, plenty of outside space to play as well as a games room, play area and childrens’ entertainer in season. For adults there’s a sauna, gym and massages available as well as the lovely large swimming pool with hydro-massage jets and sunbeds. There is a golf course and tennis courts too, quite amazing range of facilities for a 10-roomed hotel. Next to the farm there is a winery which produces Mondalon wines and is on the Las Palmas. The route has several wineries with D.O. Monte Lentiscal. Try these wines along with local Canarian food in the hotels restaurant. Just 3 km from the coast, 4 km from Bandama golf course and 20 minutes by car from Las Palmas and the airport, an ideal spot to amuse young children and relaxing for parents. See Hotel Rural Mondalon website. Or book Hotel Rural Mondalon immediately via Booking dot com. 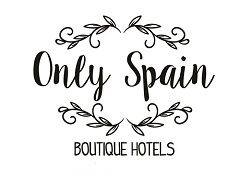 Have you visited a great hotel in or around the Canary Islands that you’d like to recommend?